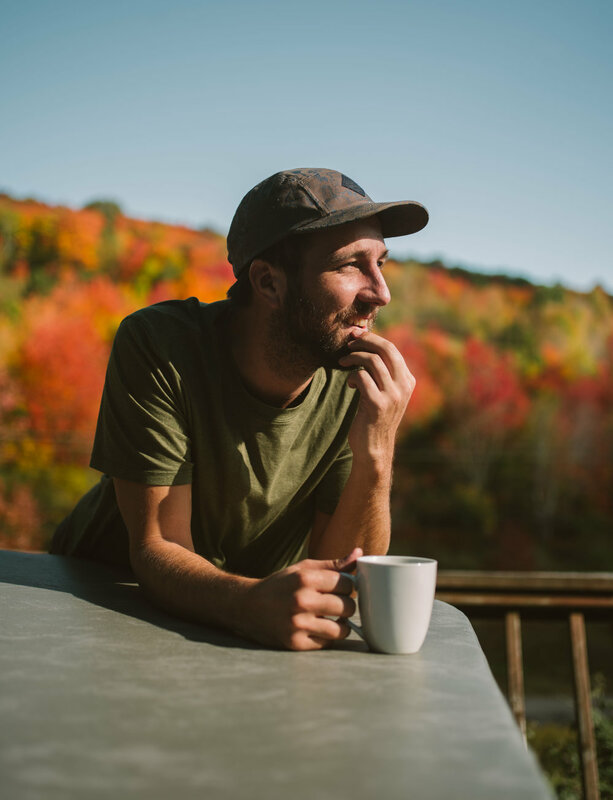 'THE LIGHT' is the second creative short film collaboration between Tim Sessler and Brandon Bray. After our last collaboration on ‘BALANCE,’ we wanted to focus on a more narrative piece but really push the abstract while letting the visuals do most of the storytelling. While BALANCE explored aerial cinematography in a new and artistic way, 'THE LIGHT' is really about attempting to make light a character, and using it in a new and innovative way. Over the past year we've seen an increase in interesting use of "drone lighting". 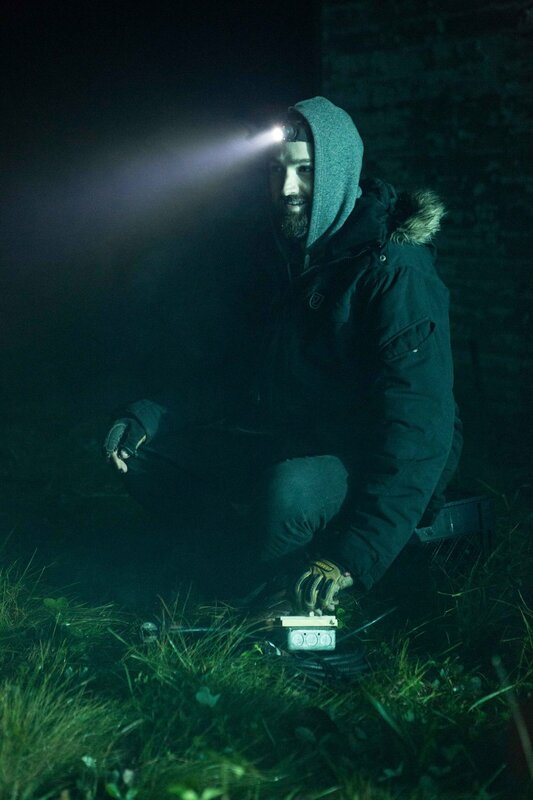 People attaching remote flashes to small quadcopters or creating impressive work, like Reuben Wus landscape photography with a tiny 200W light. The issue with most of these systems is that they are far from being usable for motion picture. Even our first test with small prototype lights resulted in pushing Sony's a7s II to extremely high ISOs, as high as 32,000. 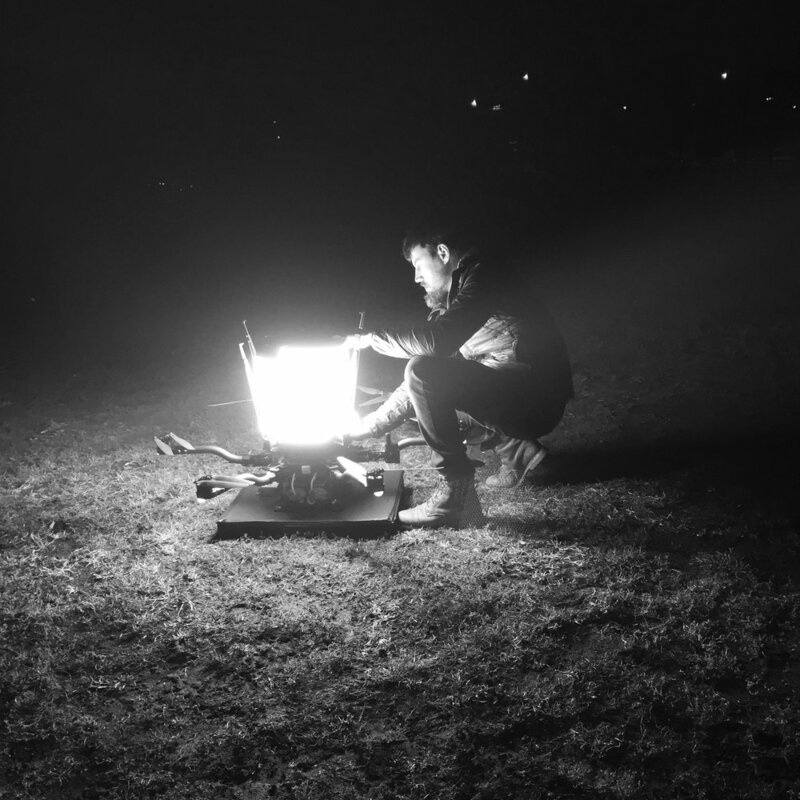 While the results of the drone light were absolutely stunning and created a bizarre effect that seemed to combine the moving shadows (that we otherwise only know from timelapse footage) and live action - we needed to create a much stronger light source to capture our vision with a proper cinema camera. After multiple prototypes we finally arrived at our first light that got us into a realm of usable exposure. Using 60 feet of high powered 2835-480 LED light strips - giving both a 360 degree spread as well as a separate top down light, we had our first working drone light with about an 80,000 lumen output. We based the whole lighting design around the Freefly "Toad in the Hole" quick release system, which allowed us to change from drone to handheld or even cable cam within seconds. Also as the LED strips are rated for 24V, we are able to run them straight off of 6S LiPo flight packs, which further streamlines the whole setup. 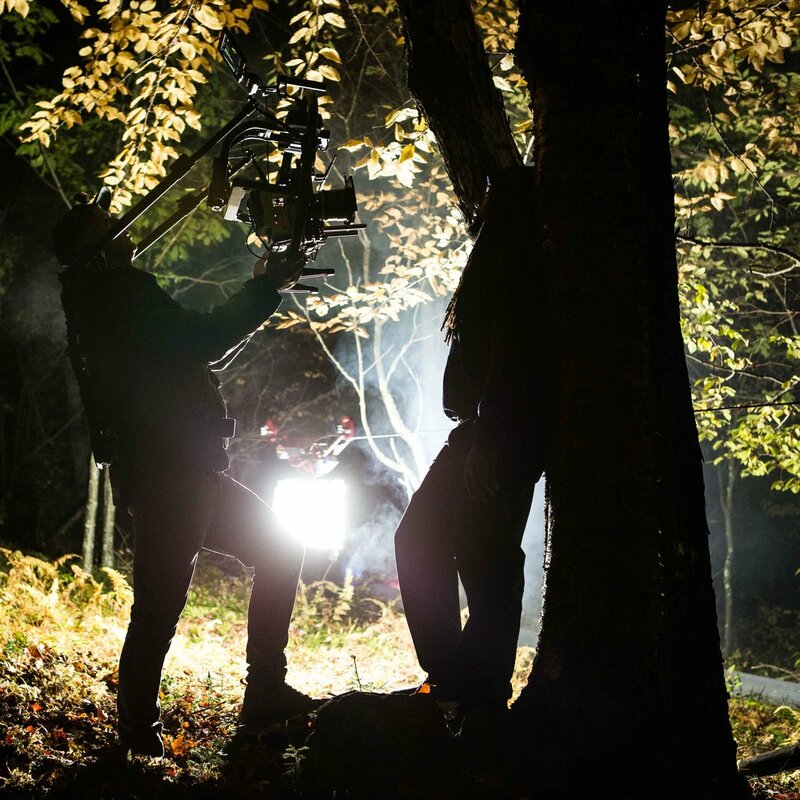 We probably have one of the brightest lights that has ever been flown on a mutlicopter - but because we weren't using a focused light source (like a spot light or larger LEDs with lenses to narrow down the spread) we were still fighting exposure issues for our wide shots that the RED 6K Weapon or Alexa Mini could not handle. 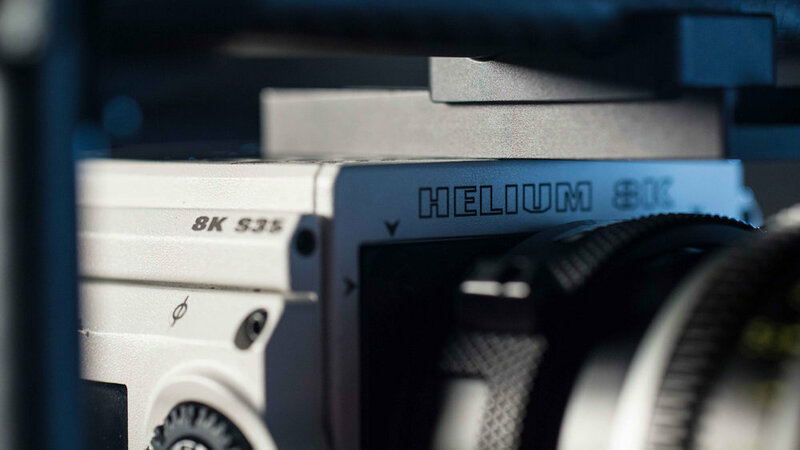 Coincidentally, our timeline lined up with the release of the RED Helium, which provides a magnificent and clean 8K image - even at ISO 3,200. 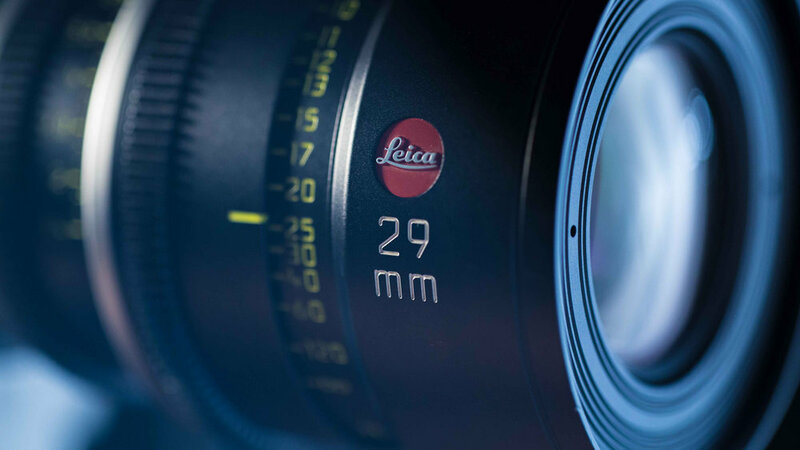 As a result, we ended up shooting almost every shot on exactly that ISO and wide open on the Leica Summilux-C lenses. On top of that we were fortunate enough to shoot this entire project with a prototype of the new Freefly MoVI Pro and the new Freefly Mimic. The MoVI Pro is an absolute game changer in the world of gimbals as it provides a pan motor with double the torque of Freeflys M15 (one of the big weak spots in a lot of gimbals below $20K). It also combines important elements like camera and accessory power, FIZ and full camera control all in one unit, making the whole setup a lot easier, sleeker and more simplified. I wrote about the Freefly Mimic last year when it was first released - and lately it has been my go to tool for nearly every shoot. I've done abstract commercial work with it, TV specials and even recently used it for the first time on a drone shoot for a flying POV scene. 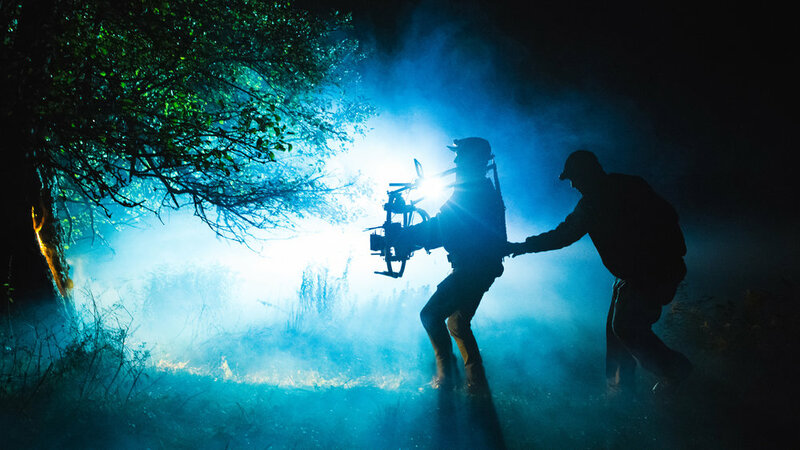 While some of our dream sequences were supposed to have more of a smooth, dreamy and stable feel to it, we also wanted to have a very energetic feel for the running scenes, tension for the vérité scenes and an overall controlled handheld look for the piece. Actually envisioning to shoot handheld while running through the dark forest was unthinkable. Building elaborate dolly tracks would have been completely impossible given our small crew and budget. The fact that I can use an operator, cable cam, drone or car mount to carry the MoVI, while still having full control over the camera movement and framing, from super smooth moves to a controlled, yet alive handheld feel all the way to rapid pans and a shaky, disorienting style, is pretty incredible. As a cinematographer this is really the tool I've been waiting for. Freefly is also advancing in terms of camera control, allowing you to change most camera settings from the MIMIC and MoVI controller via RCP (RED Command Protocol) - through the MoVI controller there is even the option of playback and many more camera functions. This project would not have been possible without the help and support from the people listed below. We really want to thank everyone that was involved in this project. We had to ask every favor possible and we are very grateful for all the support that we received to make this dreamy film a reality. The new Freefly drone - the "Cinestar" successor - has been in the making for a long time now. Many people had been speculating whether it would ever see the light of day. After the success of the original Cinestar and Cinestar X8 Heavylift, expectations for this new multicopter were enormous. 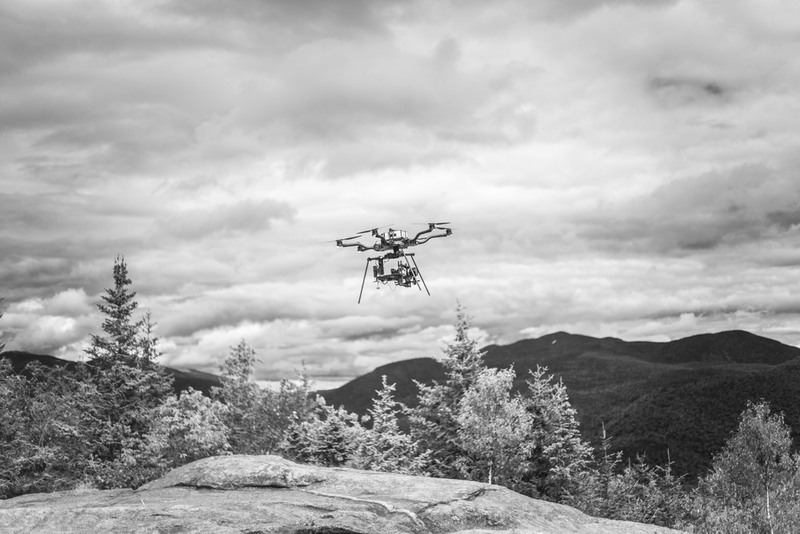 At NAB 2015, Freefly finally announced and recently released the ALTA with some groundbreaking design and capabilities that surpassed a lot of expectations. Brooklyn Aerials was lucky enough to get their hands on a pre-production model of the ALTA and took it out into the wild to test it's capabilities for a new short called, "NOSTALGIA". What sets the ALTA apart from "conventional" drones, like the Cinestar and Cinelifter, is it's design. With the perfectly engineered folding design and the option to bottom and top mount the camera, Freefly has created something truly revolutionary. For me, as a very visual person, the ALTA is not just a new drone on the market, it provides me with an entirely different way to move the camera and get shots that have been impossible to capture before. The goal of this project was to experiment with new ways to capture images with a "drone". Every shot needed to feel different than what we were used to seeing being done with drones these days. As a result, high altitude, wide-angle shots had been banned from the concept before we even started shooting. Equipped with an ALTA and a RED Epic Dragon Monochrome, we ventured out with a bare bones team of three people. In the photo below from left to right: Drew English, Camera Operator; Michael Marantz, Co-director and Tim Sessler, ALTA Pilot. Given our post-apocalyptic script, the goal seemed simple: shoot cinematic shots that tell the visual story of nature reclaiming her territory. 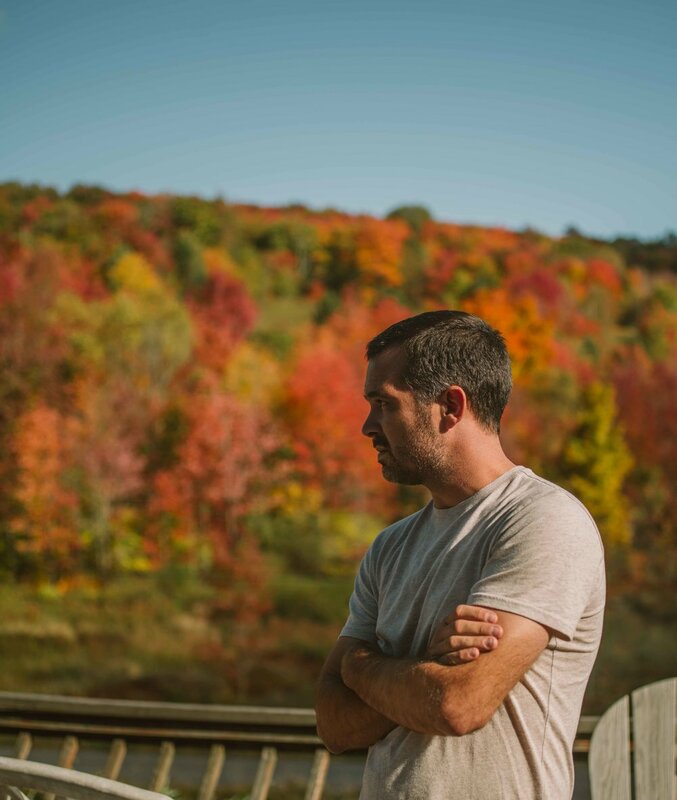 We filmed in abandoned locations like Seaview Hospital in Staten Isalnd and Letchworth Village further outside of NYC, then moved on to the beautiful natural landscape of Upstate, NY with the epic scenery that can be found in the Adirondacks. 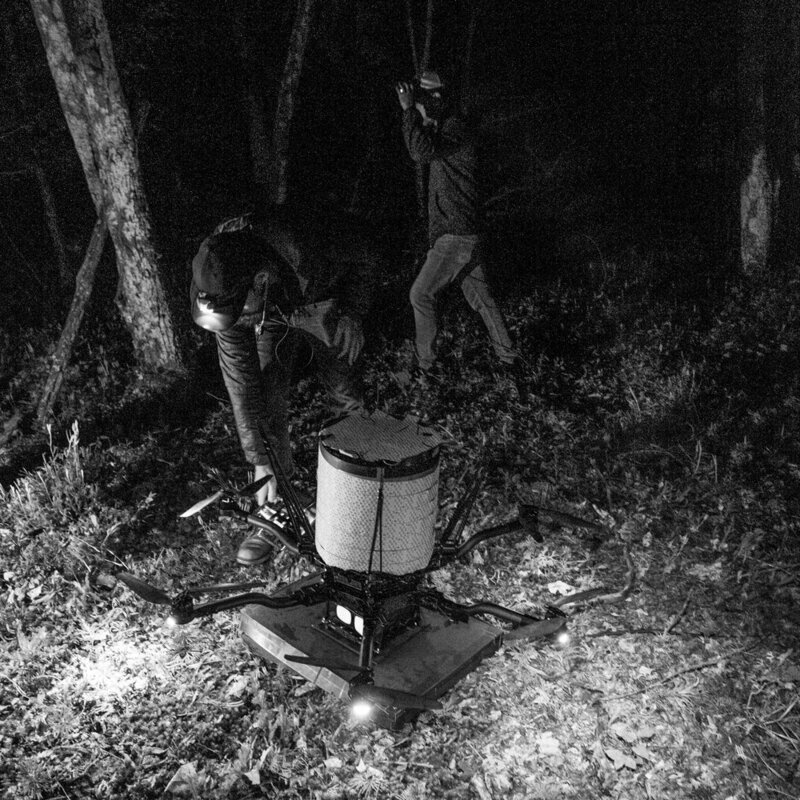 The idea really was to use the ALTA as a tool to get very slow and controlled dolly or crane shots in locations where it would have been difficult or impossible to use either of these traditional film methods. 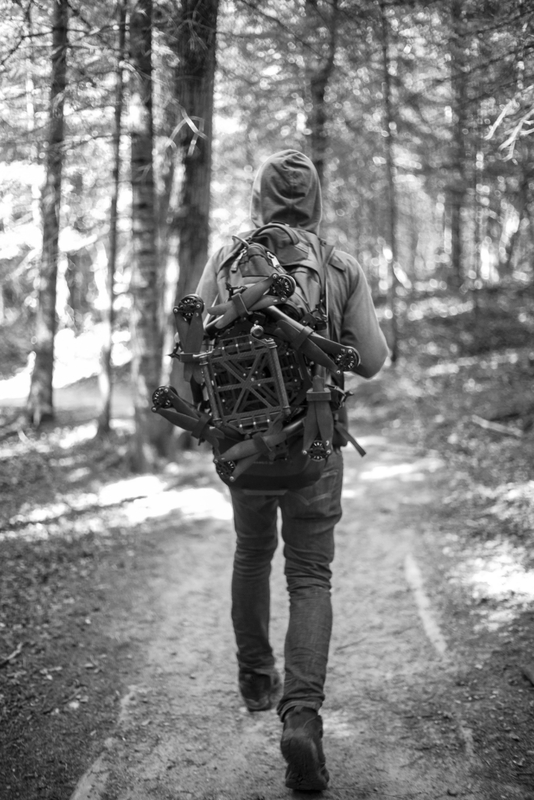 Strapping a multicopter to a hiking backpack and hiking into a fairly remote place like Mount Jo in the Adirondacks would have been unthinkable up to this point. The foldable ALTA design makes it substantially easier to bring a bigger cinema drone not only to these extremely hard-to-reach locations, but also in using it on a daily basis with car and air travel, as well as having that flexibility on production. And of course on the days that you want to put your multicopter on the back of a 6 wheeler and conquer the rolling hills and forests to get to remote locations - the ALTA makes it a lot more enjoyable! I've been fascinated with infrared black and white photography for the past few years. I even converted one of my Canon 5d mk3s to infrared by removing the original OLPF and installing a permanent 720nm IR filter in front of the sensor. Now with the new modular OLPF system, RED is allowing us to install an IR-Pass OLPF and open up standard RED Epic Dragons for infrared photography. 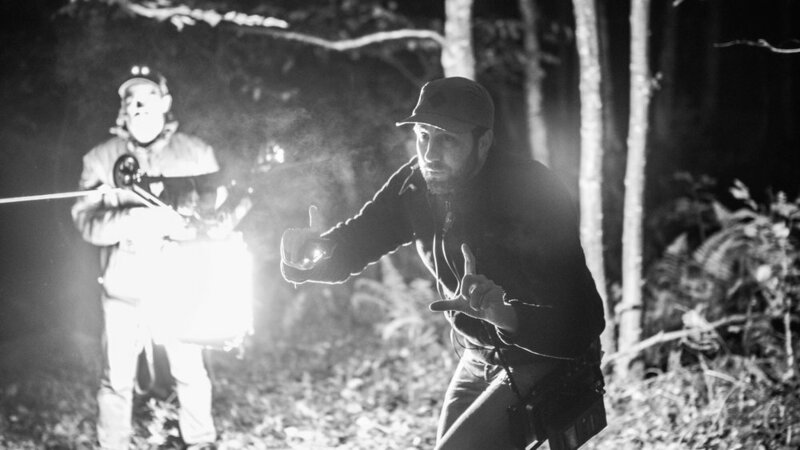 On top of that, to maximize the B/W IR look we were also fortunate to shoot on the RED Epic Dragon Monochrome. This version of the camera has a pure monochrome sensor, that results in a higher sensitivity (base ISO is 2000 vs. ISO 800 with a color Dragon) and higher detail. In combination with our Leica R lenses we had the perfect set-up for the ALTA - just below the maximum payload, yet with the best quality and flexibility for our edit and grade. The RED Monochrome footage is absolutely amazing to work with in post. The image is seemingly clean at ISO 2000-3200 and thanks to REDs RAW codec allowed a huge dynamic range and possibilities with bringing out details. We graded the whole piece in Davinci Resolve and used the Filmconvert T-Max 100 film stock as a base for the contrasty B/W look. As far as filtration in front of the lens, we used both a B+W 93 Deep BW IR filter, a traditional Hoya R72 720nm IR filter and a variety of focal lengths. From 19mm super wides for some of the tighter spaces (e.g. flying in a forest, looking straight up into the trees) to a 50mm, and even all the way up to 135mm for some nicely compressed shots (e.g. the ship graveyard). I really hope you enjoy this piece and I look forward to soon sharing one of our unreleased projects from earlier in the year: an aerial short shot in Hawaii with the MoVI M15 out of a full-sized helicopter. Stay tuned. Brooklyn Aerial is excited to be one of the first out there to get their hands on a prototype of the new Freefly Tero. It is a super-compact RC car - scale 1/5 about 30" long and just 20" wide. Based on the HPI Baja 5B Flux, which is built for intense off-road action and massive jumps, so naturally the shocks do a great job eliminating a lot of vibration. Additionally, Freefly designed a wire dampened camera mount which further helps to reduce any unwanted shakes, vibrations and small bumps from the MōVI. 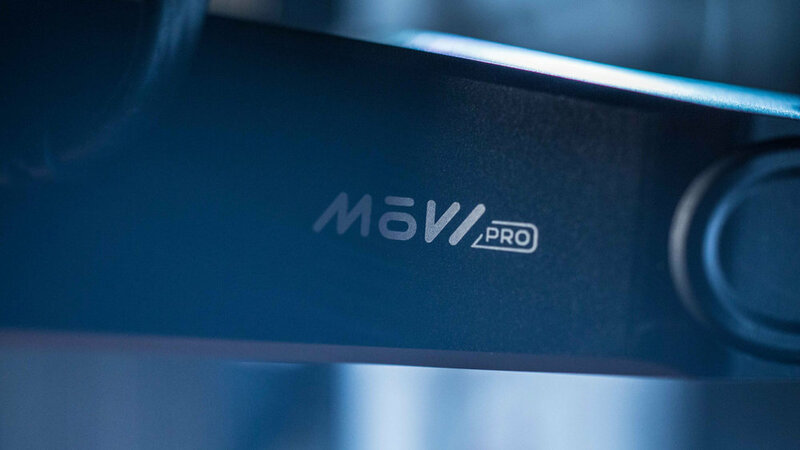 A MōVI M5, M10 or M15 on top will give perfect stabilization and full control over the camera and will allow you to mount pretty much any cinema camera on there. What is unique about the TERO is the small form factor and it's speed. Opening the doors for slow dolly-like shots without worrying about leveling tracks or having them in the shot. 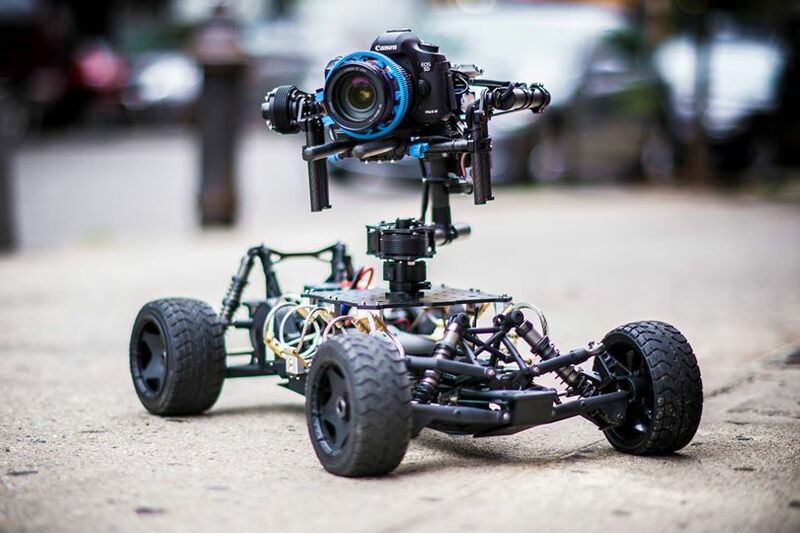 But most importantly it has an almost instant acceleration to high speeds of 40 to 50 mph, which makes it the perfect tool for car tracking shots, extreme sports and is a new cinematic way to move the camera. For a recent shoot in Chicago, I was able to test the TERO for the first time in a real-world production environment. First shot, first day: We decided to track in front of a group of young men running through a park. With the Red Epic Dragon on the MoVI M10 we were able to get perfectly stable footage driving right in front of the group. A shot that would never be as smooth and more importantly would show a lot more translational movement with the M10 handheld. To push its limits we decided to ride it on the lawn ride next to the path - a bumpy piece of grass that was desperately waiting for some trimming. The result definitely shows some bumps, but overall I was impressed with how well it worked and how it produced some very usable footage. Here is a short video - more tests will follow and footage from the tests will be up soon.